Associations - Yusata Infotech Pvt. Ltd.
Electronics and Computer Software Export Promotion Council (ESC), sponsored by the Government of India is India’s largest Electronics and IT trade facilitation organization. Starting in 1989, with an export performance of US$ 200 million. ESC has successfully steered India’s Electronics and Software Exports to US$ 65 billion during 2010-11 with membership of over 2200 exporters today. ESC facilitates global interests of foreign companies interested in establishing business linkages in India. ESC’s excellent match – making services help interested ICT companies to locate a reliable partner in India for their business requirements. In an Industry where the degree of technological obsolescence is very high, ESC is striving hard to elevate India’s position in the international trading arena of the Electronic and Computer Software. ESC operates through State, Regional, Sectoral and Territorial Committees. The ESC Committees comprise of leading exporters and senior Government officials. ESC represents interests of Indian electronics and IT sector at Joint Trade Committees of Ministry of Commerce, Government of India as well as at Joint Business Councils of various countries. ISO International Standards ensure that products and services are safe, reliable and of good quality. For business, they are strategic tools that reduce costs by minimizing waste and errors and increasing productivity. They help companies to access new markets, level the playing field for developing countries and facilitate free and fair global trade. ISO International Standards provide practical tools for tackling many of today’s global challenge. Software Technology Parks of India was established and registered as an Autonomous Society under the Societies Registration Act 1860, under the Department of Information Technology, Ministry of Communications and Information Technology, Government of India on 5th June 1991 with an objective to implement STP Scheme, set-up and manage infrastructure facilities and provide other services like technology assessment and professional training. Software Technology Parks of India has played a seminal role in accomplishing this status. Today, STPIs across over the country are synonymous with excellent Infrastructure and Statutory support aimed at furthering growth of Information Technology in the country. Software Technology Parks of India (STPI), is a society set up by the Ministry of Information Technology, Government of India in 1991, with the objective of encouraging, promoting and boosting the Software Exports from India. STPI maintains internal engineering resources to provide consulting, training and implementation services. Services cover Network Design, System Integration, Installation, Operations and maintenance of application networks and facilities in varied areas. Process development is based on the Quality Management System. STPI centers also adhere to ISO 9001 certification. The policy of STPI is to continuously strive and delight customer through total quality performance of all its services in terms of quality culture, quality cost and quality delivery schedule. 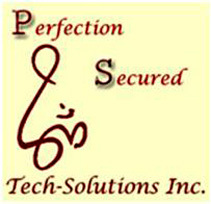 With a passionate vision of providing outstanding client-service, PS Tech founded in 2009 and have since grown steadily year-over-year organically expanding our client-base and service portfolio. Our founders and leaders are well-known industry figures and respected in their areas of expertize, bringing a track record of continuous innovation, industry contributions and leadership. With offices in two major technology hubs of Boston and Austin, PS Tech currently executing projects as well as resource augmentation in the mainland USA. We are building an offshore and managed services capability to enhance our coverage window as well as being able to tap into top talent across the world. P & S Tech Solutions provides a full spectrum of services related to Oracle E-Business Suite and Oracle Database Technologies. We are currently setting up an offshore office for off-hours support and managed services. With over 20 employees and sub-contractors we offer diverse range of services to meet the demands of our customers.